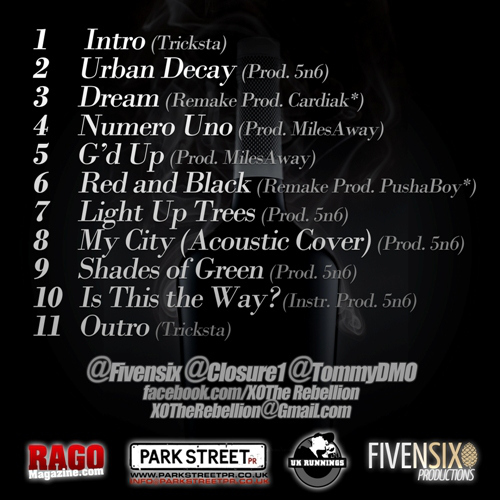 ‘XO: The Rebellion’ or ‘XOTR’ for short are a brand new Hip Hop group coming straight out of Luton Town, UK. The group comprises of three talented artists: Stephen Fivensix, Tommy DMO and Closure who are all good friends outside the studio. All three members sing and rap with Fivensix behind a lot of the instrumentals/productions the group have released to date. Fivensix and Tommy DMO have been good friends for about a decade and have shared the stage on a number of occasions in the past. As former band musicians and accomplished guitarists, their influence and experience works to further set XOTR aside from other artists working in the same genre. 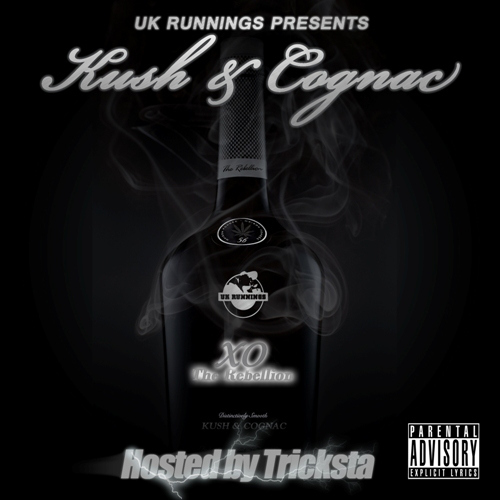 XOTR’s brand new mixtape ‘Kush & Cognac’ debuts as part of the long standing British hip hop mixtape series ‘UK Runnings’ and is hosted by veteran mixtape deejay: Tricksta. The release consists of 11 eclectic tracks that draw influence from south-coast trap, east-coast boom bap, RnB, soul, acoustic and rock genres making this a very interesting and unique mixtape release. The trio have recorded on mostly original instrumentals apart from two popular beat remakes. All three artists have enjoyed success in the past with their solo projects, however with their skills now combined they hope to make their presence even further known in the UK music scene. Download UK Runnings presents: ‘Kush & Cognac’ now and hear for yourself what all the buzz is about surrounding this relatively new collaborative project.